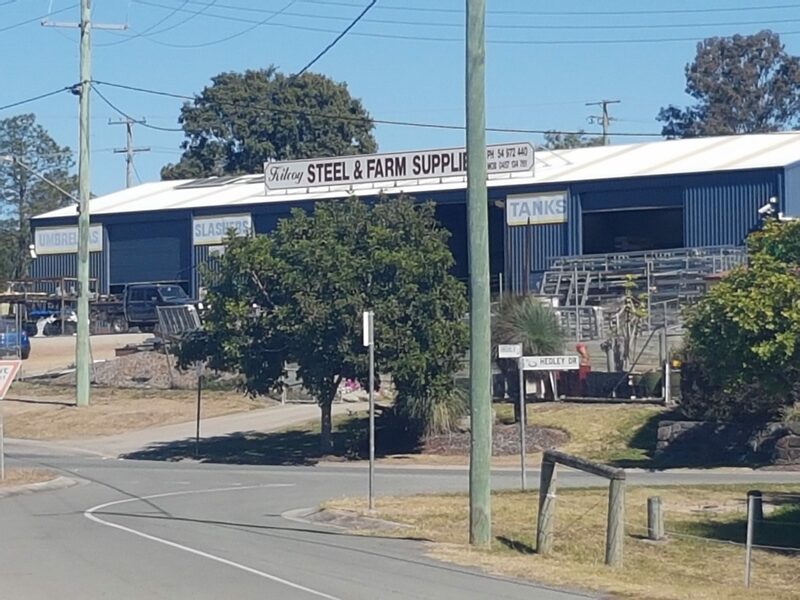 At Kilcoy Steel and Farm Supplies we manufacture onsite from Australian materials – steel fabrication of your design, steel manufacturing templates, stainless steel hardware, galvanised construction and powder coating. We also offer quality paint finishing, factory assembly and transport. Kilcoy Steel and Farm Supplies covers a great range range of landcare needs including poly tanks, pet foods and accessories, weeding and fertiliser, animal care products and feed options. We supply the PENTAIR – ONGA pump brand, an iconic Australian brand within the pump industry supplying the highest quality water movement products. But there’s more; chain oils, commercial whipper snipper cords, spark plugs and blades….and the list goes on. If you have a problem that needs solving, give us a call. If we are not able to solve the issue we will find a solution.